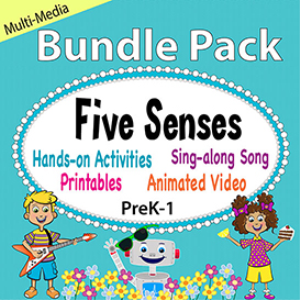 Rev up your five senses lesson with a lively, animated 3 minute video with a fun sing-along song that teaches children about the sense of sight, hearing, smell, touch, and taste. Printable activity pages include: Matching, read, write, draw, cut, paste, word search, crossword puzzle, and maze. 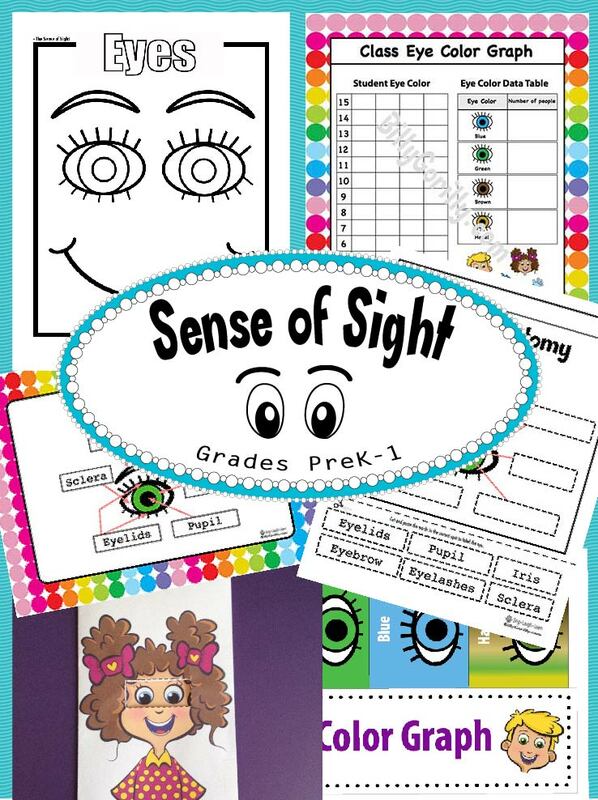 A template for a colorful interactive mini-book, mini-posters with descriptive words to hang on the wall, or put into students senses science notebook. Printable word and picture cards for game playing, or to use as flash cards. 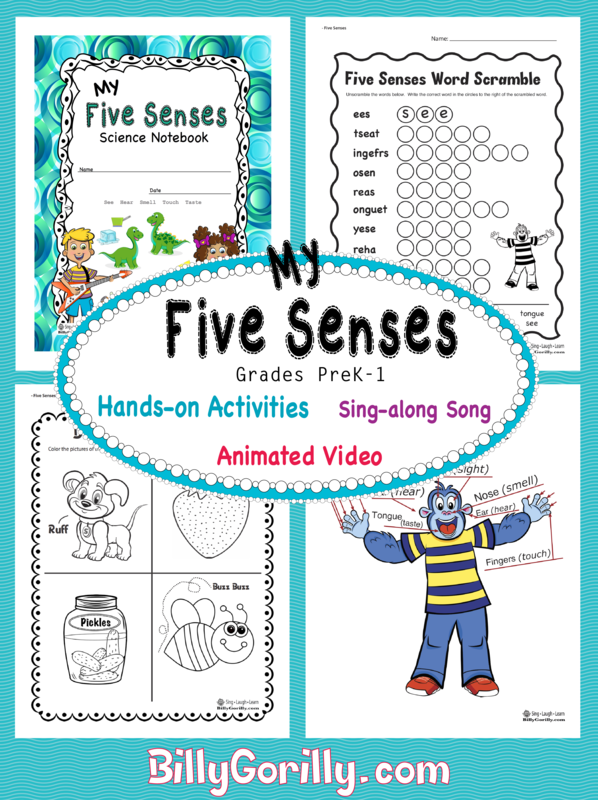 A Five Senses Science Notebook cover with a place for name and date. In addition to the video you also get a copy of Billy Gorilly's Five Senses song in .mp3 format. Feel good knowing your kids will have safe, ad free video viewing. All the printables come in a .pdf file. For the highest quality prints set your printer to borderless printing at 100%. If you don't there will be a white border around the science notebook cover page, and the poster pages. If this doesn't bother you, don't worry about it. We've also included black and white versions of the notebook cover and all the activity pages for those of you who can't, or don't want to print in color.